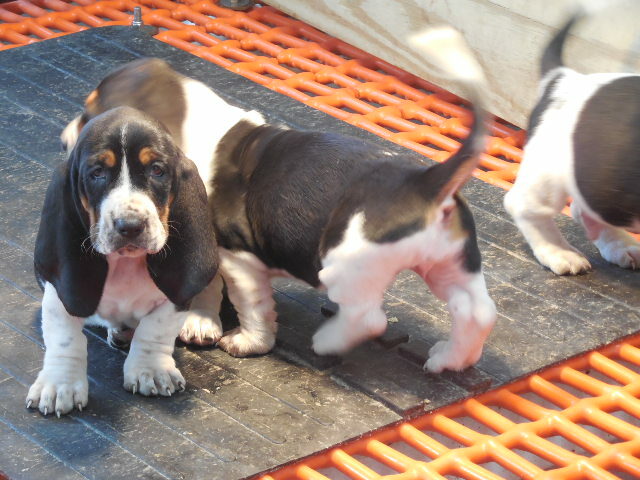 These Basset Hound Puppies are doing great. 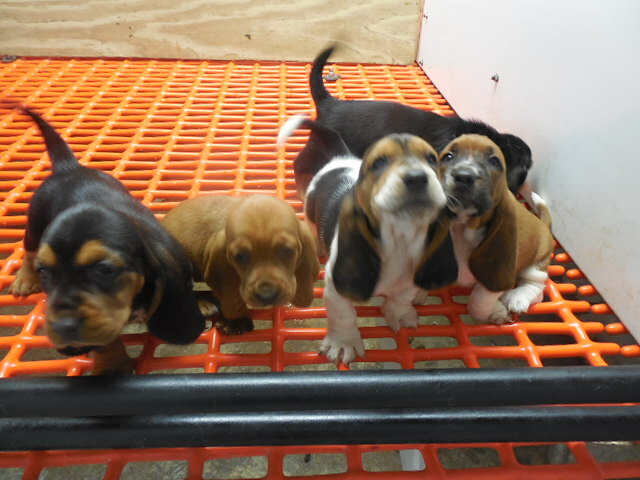 The puppies are doing great. Dew claws have been removed. We are ready to begin having people make their picks. They will be offered in the order of the deposits in. I will let you know when it is your turn to pick. They will be ready to go home about the first of February. 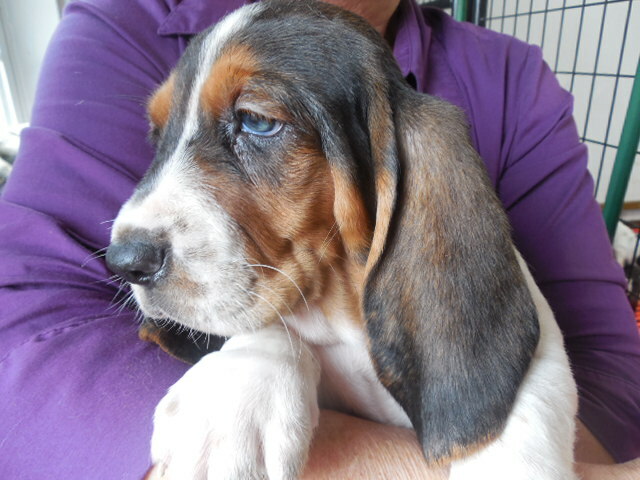 AKC , first shot, puppy food sent home with the pup. You can pick it out with photos or you can come pick it out in person. 1st deposit– first pick, etc.